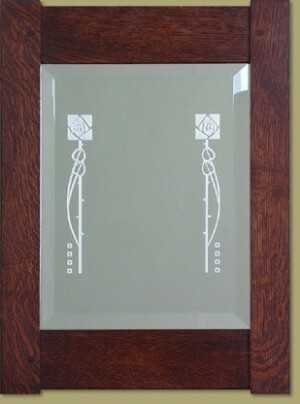 Framed in our own handmade mortise and tenon frame, this beveled mirror has been etched with the classic Dard Hunter Rose & Stem design. 11 x 14" inside dimension. 14.5 x19.5" outside dimension.